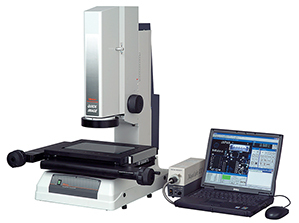 Mitutoyo has marketed vision measuring machines since the mid-1980's. They are proud of their superb delivery and satisfaction record in the global marketplace. Today, measurement professionals are more sophisticated, demanding higher accuracy, compactness, and ease of use. 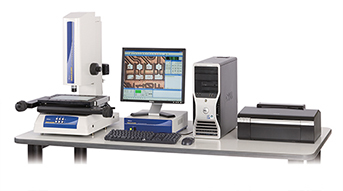 The Quick Image Series addresses such demands in a compact, low cost instrument with advanced functionality. 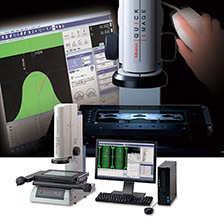 The Quick Image Series highly integrates advanced optics, sensing, software, and vision measuring technologies to help solve today's challenges and beyond. 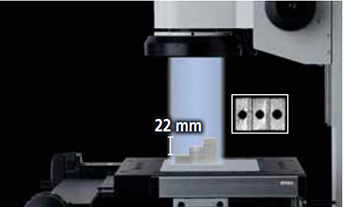 Mitutoyo Vision Measuring Systems are available in a wide range of sizes and accuracy classes to cover practically all precision 2D and 3D measuring applications, with every system representing an excellent investment in terms of productivity, versatility, quality of construction, training and service support. Each system component is designed using the latest CAD techniques to ensure maximum performance and manufactured from materials best suited to the purpose for guaranteed longevity, drawing on the unparalleled technological expertise of a world leader in metrology. 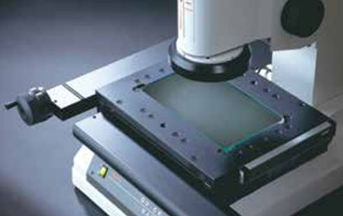 In addition to the built-in high-performance vision probe, contact probes are available on some systems to extend the range of measurement applications. The dedicated analysis software interprets measurement results in the timely manner so essential for keeping up with today’s fast-paced production.